This entry was posted in 身体发肤 and tagged A醇, A醛, BIONIC FACE SERUM, EVIAN, neostrata, PHA 10, Philosophy, PURITY, SKINN, TRIACNEAL, VB3, 卸妆油, 左旋C, 新活, 旁氏, 眼霜, 精华, 雅芳 on 2012/12/18 by 卓玛拉姆. This entry was posted in 身体发肤 and tagged antioxidant booster, skinactives, VC, 左旋C, 抗氧化, 精华, 阿甘油 on 2012/10/04 by 卓玛拉姆. This entry was posted in 身体发肤 and tagged 100% PURE, ag, bayhouse, botamist, florihana, squalane, VB3, VC, 保湿, 卸妆, 咖啡豆, 岩玫瑰, 左旋C, 抗氧化, 敷脸, 椰子油, 烟酰胺, 眼霜, 矿泉水, 纯露, 角鲨烷, 阿甘油 on 2012/09/16 by 卓玛拉姆. 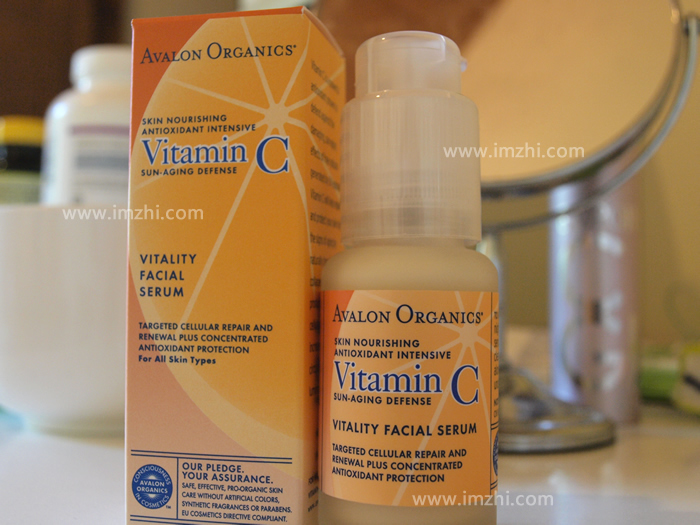 This entry was posted in 身体发肤 and tagged avalon organics, VC, 左旋C, 抗氧化, 精华, 美白, 胶原, 酯化C, 黑色素 on 2011/05/11 by 卓玛拉姆.